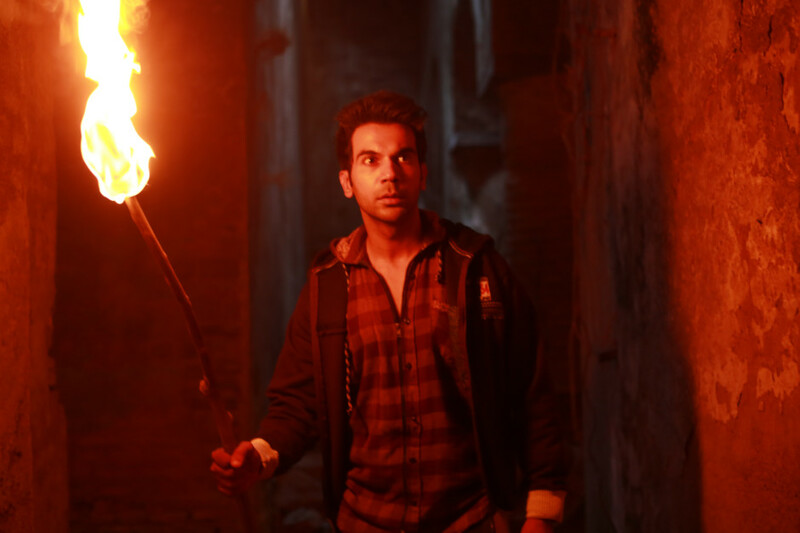 Combining humour and horror is a risky gamble, but director Amar Kaushik manages to pleasantly juxtapose the two disparate genres in his debut film Stree. It’s a horror comedy that’s absurdly amusing to watch despite its ghoulish undertones. Set in the quaint town of Chanderi in Central India, the immensely talented and prolific actor Rajkummar Rao takes on the role of an expert tailor who doesn’t need measuring tapes to size up his client’s vital statistics. Labelled as the Manish Malhotra of Chanderi, Vicky’s a well-adjusted, irreverent young man whose existence is rocked when a vengeful spirit sets out to devour strapping lads from his community during an annual Hindu festival in his town. The widely-feared spirit, called Stree, is on a bloody rampage and the only deterrent that seems to work is a message — written in a red ink made from the blood of bats and cow urine — imploring her to come the next day. Folklore has it that the message on every wall of a house may save the men of the household. Written by Raj and DK of Go Goa Gone fame, there are some sharply written lines that evoke easy laughter and doesn’t seem stale. The collective acting is top-notch from a handful of supremely talented actors. Pankaj Tripathi as a sagacious spirit expert is a treat to watch, while Aparshakti Khurrana and Abhishek Banerjee as Vicky’s best mates bring their A-game. Shraddha Kapoor is alluring in her role. But there’s no denying the heavy lifting is done by Rao and he excels in every scene. His ripped body may sit uncomfortably on a middling tailor, but his razor sharp comic timing makes this film engaging. While the humour isn’t over-the-top and they don’t try too hard with the jokes, it’s the gory bits that shine. The team does a commendable job of bringing in the thrills. The scary moments are startling and genuinely frightening. The scenes set in the dead of the night are high on atmospherics. And although you need to suspend belief for a genre-bender like Stree, it doesn’t careen uncontrollably towards ludicrous territory. Despite the audacious storyline, there’s some semblance of structure and sense. The black comedy also takes a nick at gender disparity without making it overly boring. The same couldn’t be said for the songs, which are enjoyable but serve no higher purpose. But credit has to be given where it is due. Stree was a creative experiment and it worked for most parts. Had 10 minutes been shaved off, the horror comedy would have been brisker. But that shouldn’t be a deal-breaker. It’s perfect for a one-time watch.